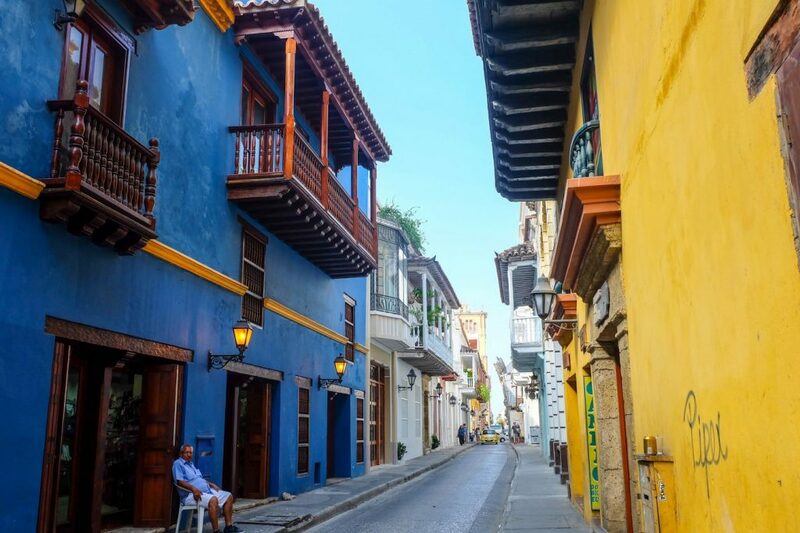 10 Photos of Cartagena to Inspire Your Next Trip » Lavi was here. 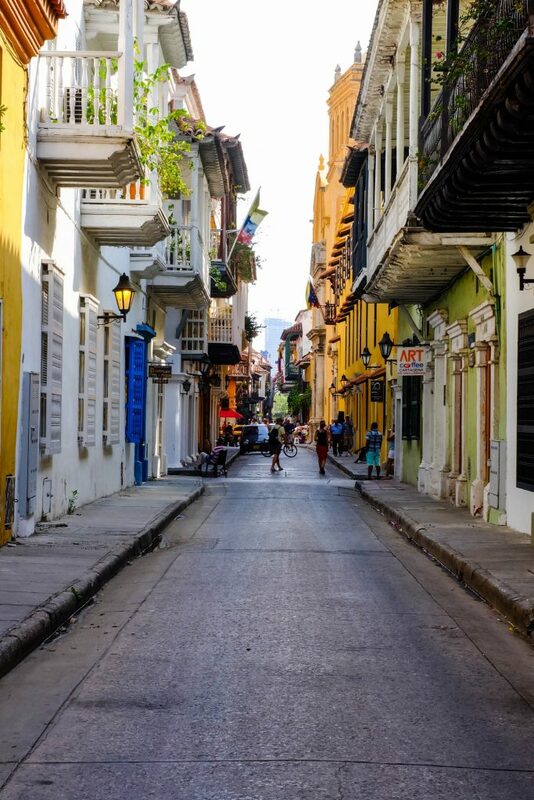 Cartagena, Colombia is one of the most picturesque and beautiful cities I’ve ever visited. Ever. I never got tired of exploring the centro histórico and marveling at the colorfully painted colonial buildings and flowers draped over every balcony. Cartagena was hot and humid in January, but it didn’t keep me from walking aimlessly in the streets and craning my neck to see what was around every corner. I love to photograph beaches and mountains, but I also can’t get enough of street photography. It made it my mission in Cartagena to capture some beautiful street scenes. 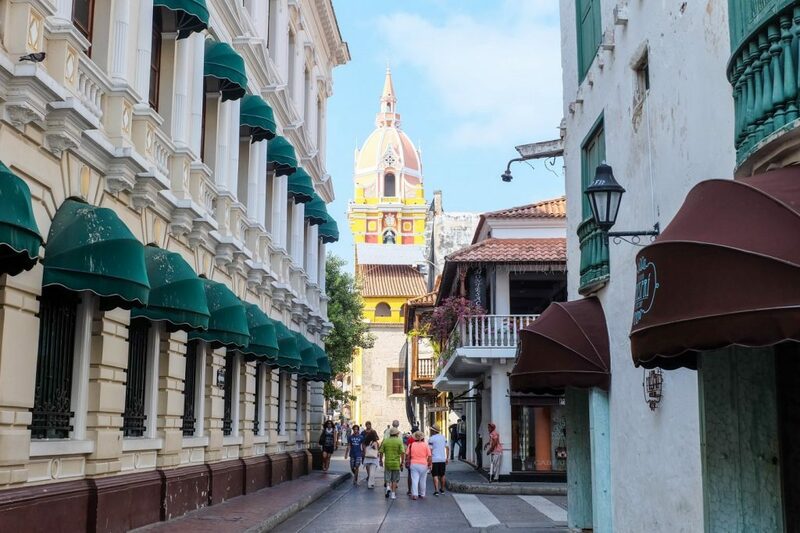 It wasn’t that hard; everywhere in Cartagena looks like it could be a photo on a postcard. 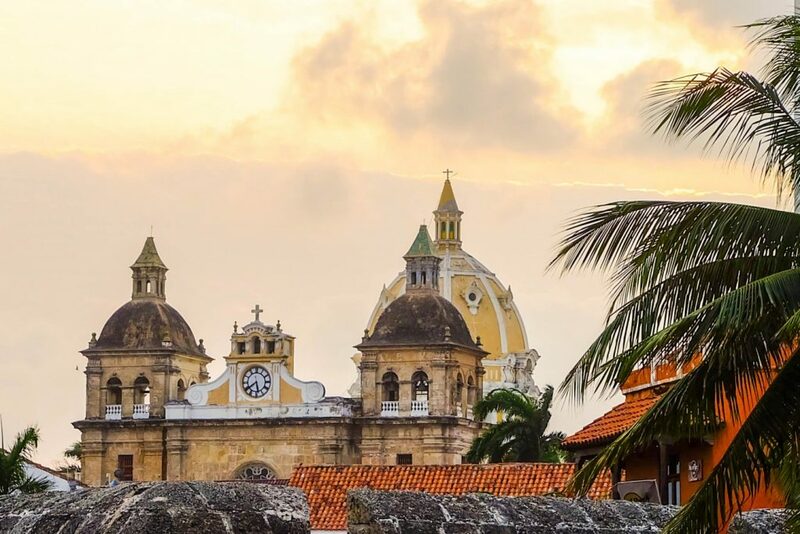 If I had to choose only 10 photos of Cartagena to inspire your next trip, it would be these. I love this view of Puerta del Reloj before entering the centro histórico through the old city walls. 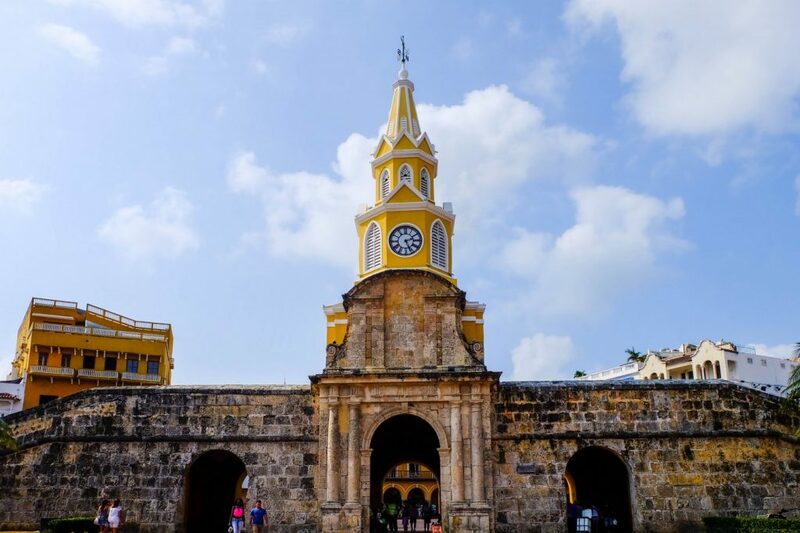 It’s such a monumental entrance to this colonial part of town and is the beginning of a yellow color scheme I stumbled upon all over the city. Artisanal goods and cute souvenirs, anyone? You can find people selling their handiwork right on the street, along with some of the best street meat stalls! I bought a bracelet with an anchor on it that I still wear every single day and reminds me of this adorable city by the sea. Cartagena was the first (and regrettably only) city in Colombia in which I grabbed my camera and took to the streets with no end goal or plan in sight. I really enjoy turning at random corners and seeing what the side streets have to offer. I didn’t expect to see this old man in his blue shirt sitting outside this gorgeous blue building, but I love the way it contrasts with the yellow building across the street. 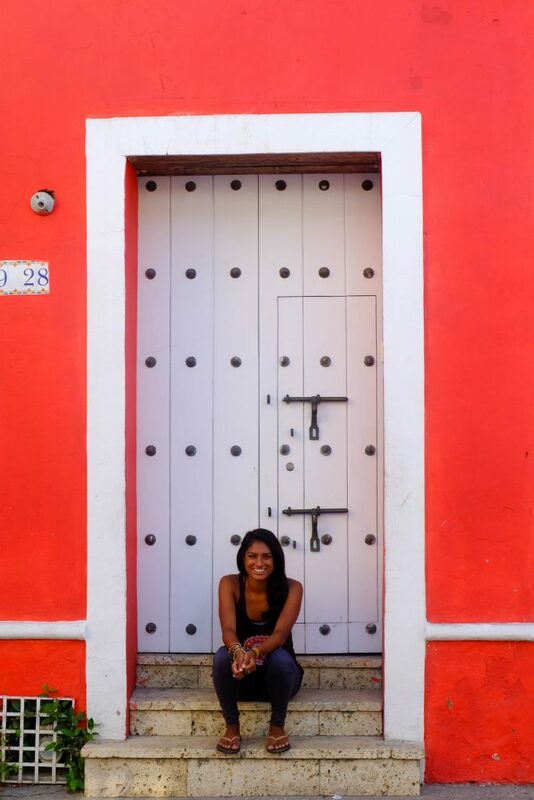 The vibrant colors in Cartagena are really mind blowing. I’ll admit that Cartagena is full of tourists, especially the centro histórico, but it’s for good reason. 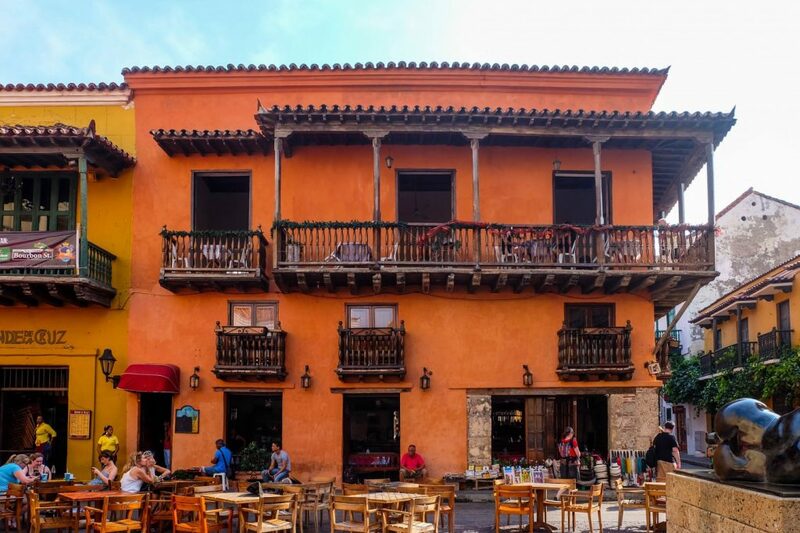 The little plazas are perfect to enjoy lunch or a drink in the Colombian sun. 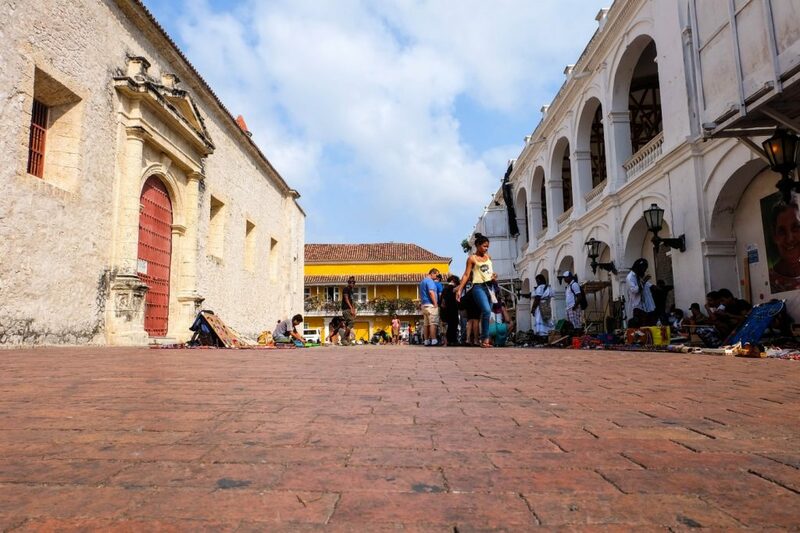 There’s always something interesting to see in Cartagena’s plazas. In this shot to the left, I even caught a cheeky (literally) glimpse of “La Gordita” a bronze figure created by the famed Colombian sculptor Fernando Botero. You can also find his sculptures in Bogotá and Medellín. It was nearly impossible to find a quiet, empty street to capture with all of the tourists and locals bustling around. I think I got lucky with this one! The colonial-style buildings and balconies reminded me a lot of Europe, especially those in Malta and Kotor, Montenegro. This shade of yellow is the color that resonates in my mind the most when I think back on Cartagena. 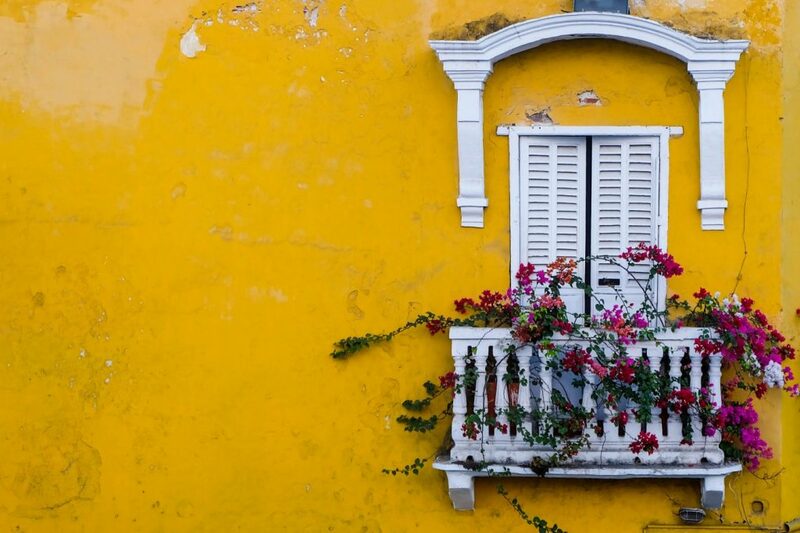 I love this burnt yellow color and the way the purple and red in the flowers along with the yellow balcony and shutters offset this color. I think this is one of my favorite balconies of the many I nearly broke my neck staring up at. I walked so much around the centro histórico that I almost forgot there were other parts of Cartagena to discover. 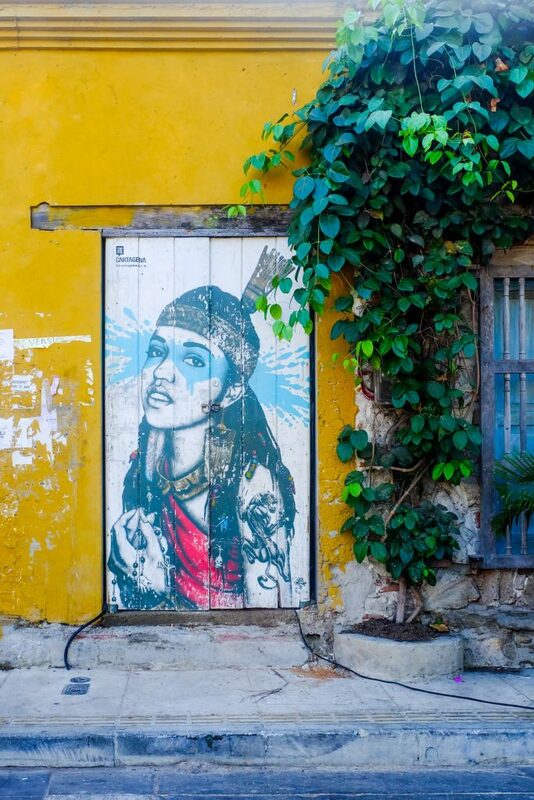 Right around the corner from my hostel in Getsemani were so many cute little restaurants and amazing street art! I woke up extra early before leaving Cartagena to check it out. I recognized some of the style of artwork from the street art tour I went on in Bogotá. Street art is so unique and always tells a story; I wish I knew what the story behind this one is. A sneaky view of Cartagena’s cathedral between buildings and tourists. The cathedral is one of the structures that is most prominent viewing the skyline of the centro histórico. It’s so beautiful! Oh, hey! This bold color was too stunning not to try to get a photo in front of! With more traditional colors found in the centro histórico, I liked this more modern change of pace in Getsemani. I really wanted to capture a sunset in Cartagena but failed to do so because of cloudy skies. I was fortunate enough to look up and see that the sky appeared to be as yellow as the Church of San Pedro Claver itself. The church and sky remind me of an antique photograph with burnt, frayed edges. This made up for not seeing the sunset! So…where is your next trip going to take you? Cartagena is very high on my list. Your photos make me want to book a flight now! Enjoy! 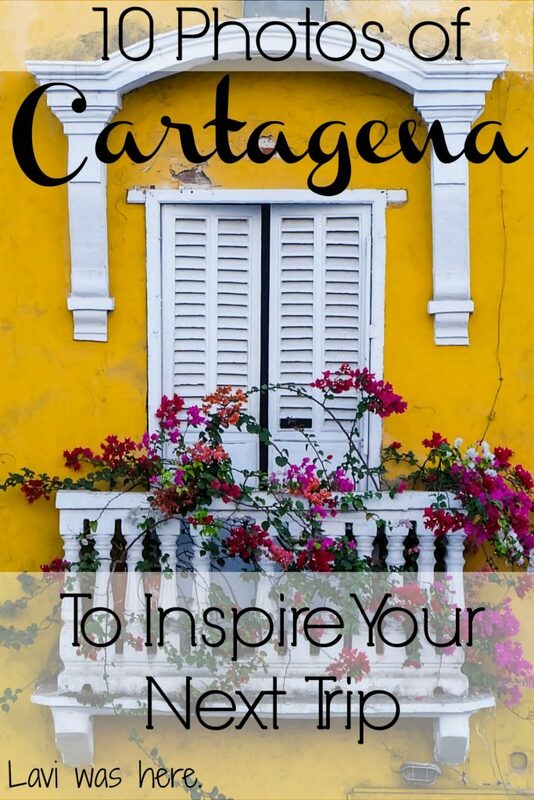 Let me know how you like Cartagena! Gorgeous photos! I went to Cartagena in January for my honeymoon, and loved it SO much!! I have photos of lots of the same places as you, I snapped my life away there, there was just to much beauty 🙂 I would love to go back someday!